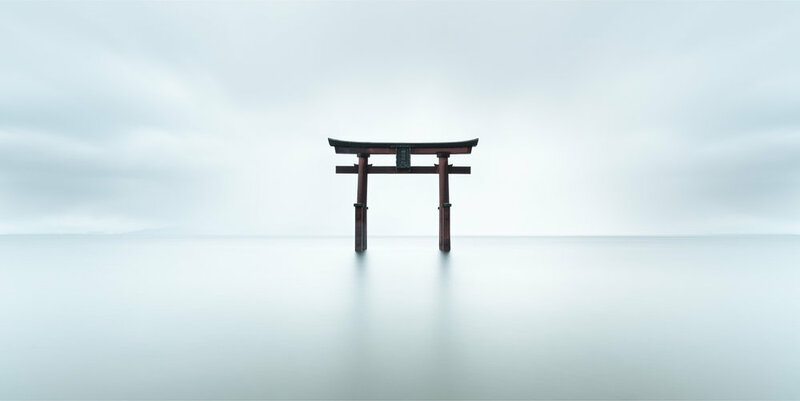 These images was taken on trip to Japan in March, 2017 when I travelled through Tokyo, Kyoto, Koyasan, and Mie, Shiga (Lake Biwa), Aichi and Fukui prefectures. The wedded rocks (the two joined by the rope) represent a married couple, so it seems the other rocks should represent the children - and this image represents the whole family. 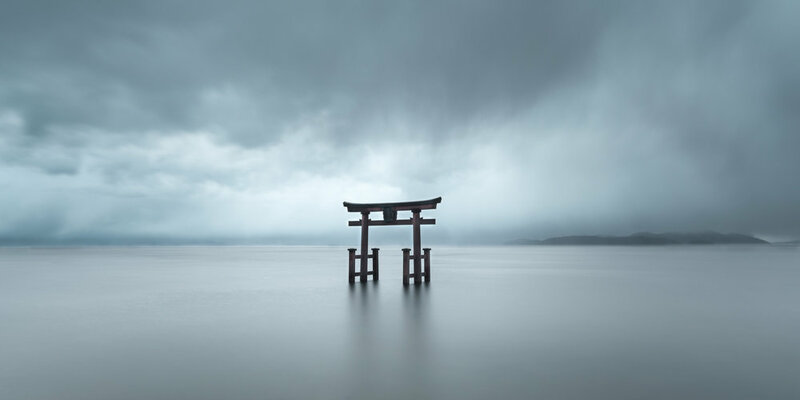 The torii gate that marks the entrance to the Shirahige shrine sits in in the waters of Lake Biwa. 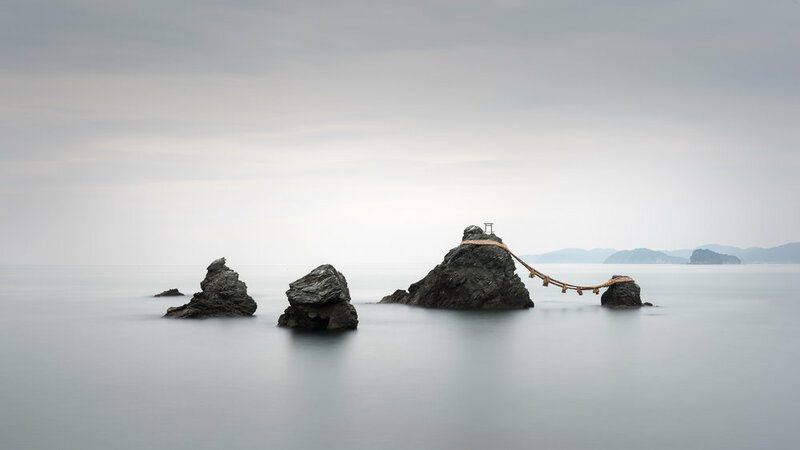 Nori (seaweed) nets stretch for miles along the coast in Aichi prefecture. Fishing nets on Lake Biwa, Shiga Prefecture. At the end of the a long beach full of seaweed nets, there came this end point. A sea defence in Aichi Prefecture. A tree growing in the famous bamboo grove outside Kyoto. 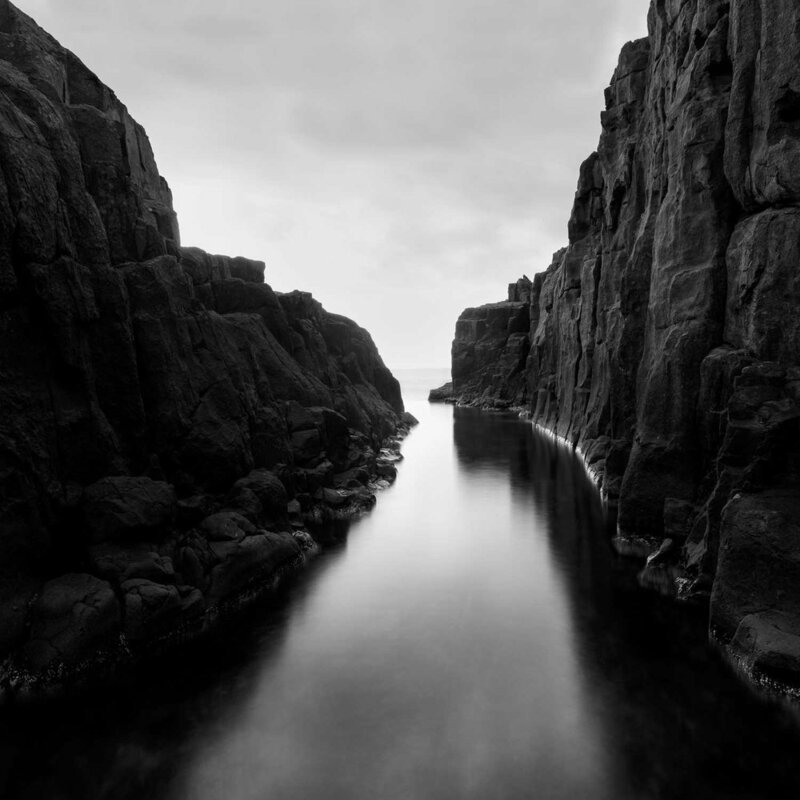 Basalt cliffs rise in the Sea of Japan at Tōjinbō. The path of torii gates at Fushimi Inari-taisha in Kyoto. 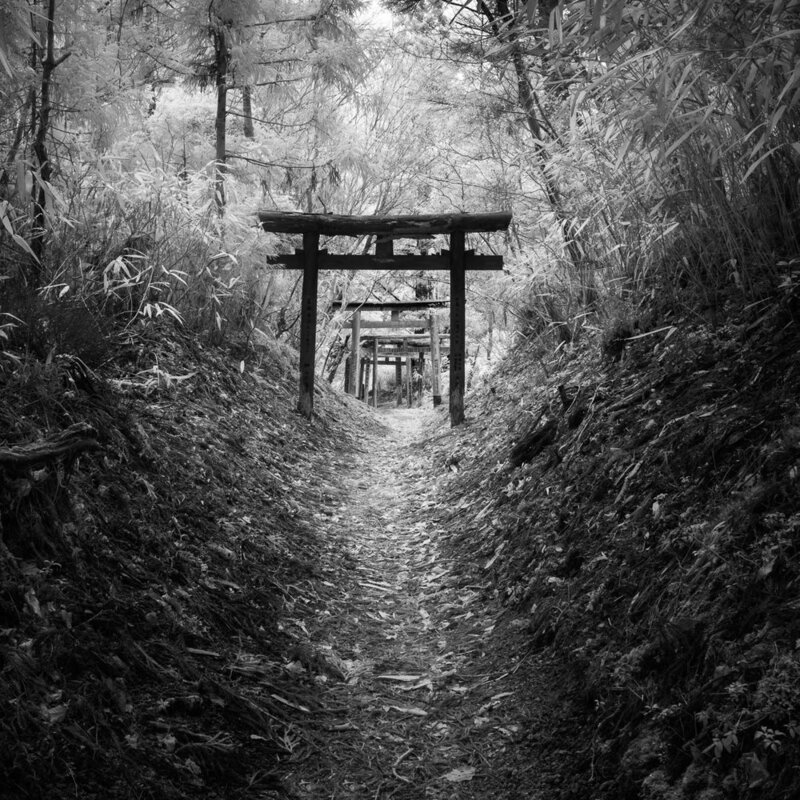 This series of torii gates designate the path up to peak of Bentendake in Koyasan. 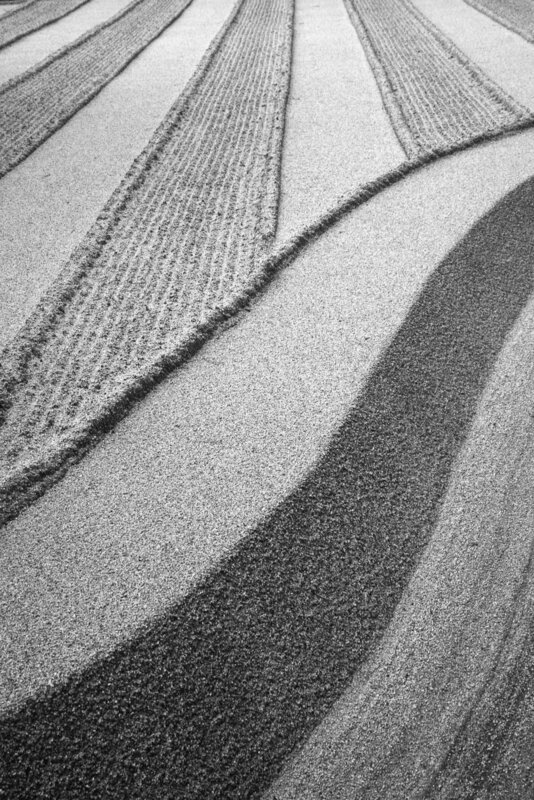 Ginshandan (Sea of Silver Sand), the sand garden at Ginkaku-ji (Silver Pavilion) in Kyoto. An old cedar tree growing around a jizo statue. 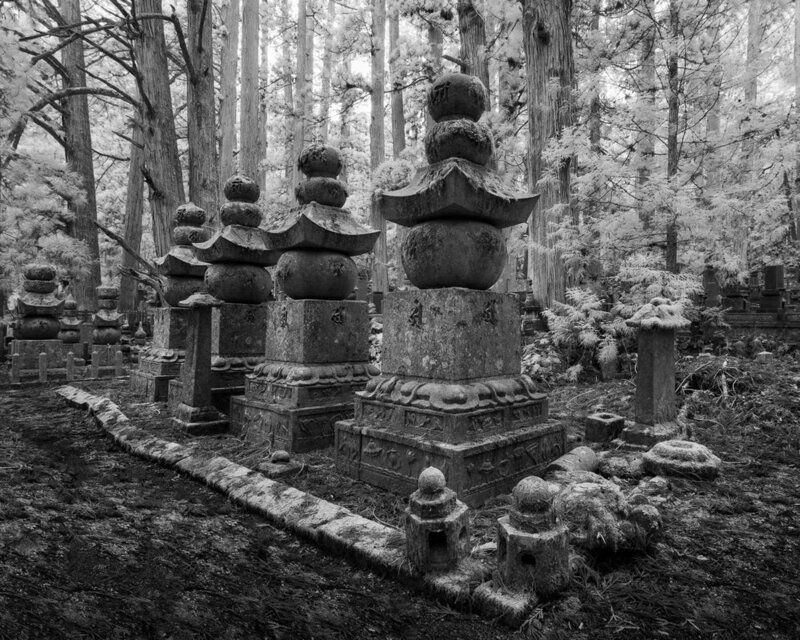 Okunoin, the most holy site in Koyasan, is the largest cemetery in Japan. 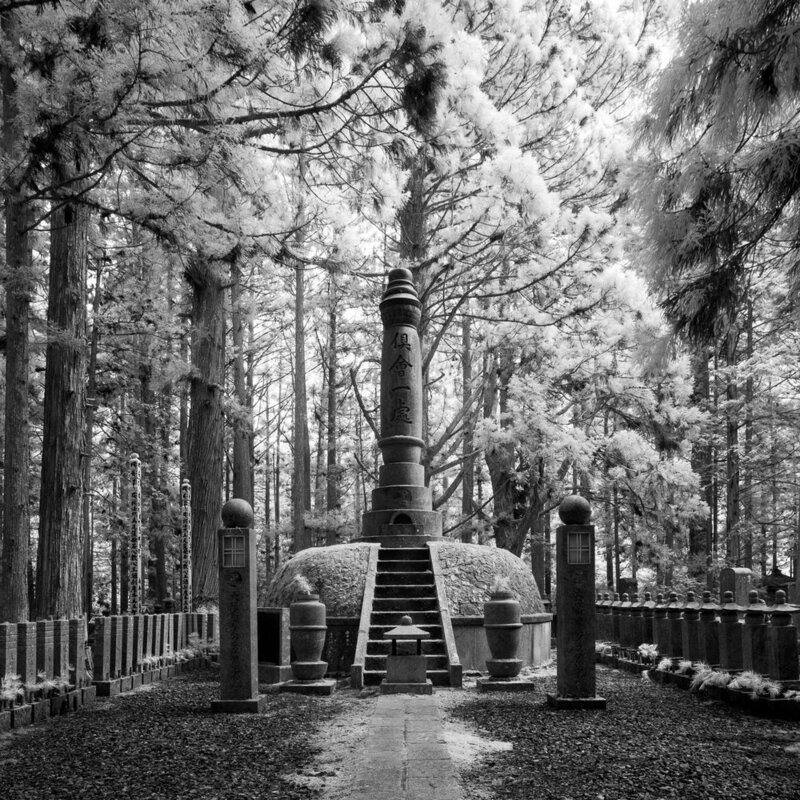 It is the resting place of Kobo Daishi, who founded Koyasan and died in 835.